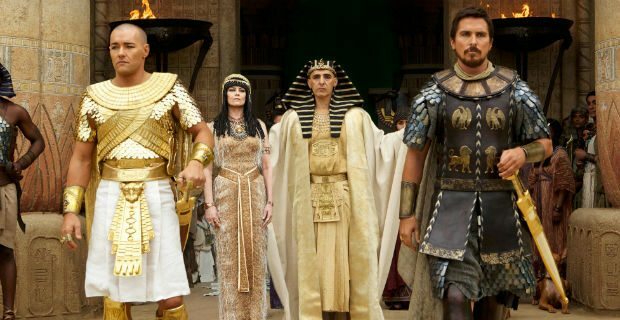 The head of the censorship board said these included the film’s depiction of Jews as having built the Pyramids (the Pyramids are believed to have been built about 1,000 years before the story of the Exodus), and that an earthquake, not a miracle by Moses, caused the Red Sea to part. I’m honestly worried that this is just a ploy to generate interest in a failing movie, akin to how the Sony hack ended up being “good” for The Interview (at least in terms of popularity). I know it’s a baseless theory, but some things about this whole thing don’t add up. It seems strange that the movie would be banned outright like this, despite some inconsistencies that are frankly not that big of a deal. And the timing is suspicious too. Exodus has been out for a few weeks now, and it’s not doing well. The film has only gone on to collect about $100 million worldwide, which isn’t close to the production budget alone. Once you add marketing expenses, Exodus is in big trouble of flopping. I’m currently researching to find out if there’s a precedent for this in Egypt and Morocco. Is it normal for them to ban an inaccurate adaptation of a true story? That’s what I want to find out ASAP. 8 replies to Is Egypt Banning ‘Exodus’ To Make It More Popular? It’s normal. And FYI, Noah was banned, too. Movies like those are banned here in Egypt because some Islamics think that impersonating prophets is wrong, however, since it was Islamic researchers who thought so and not Islam itself, I (a Muslim) think that it’s ok as long as the movie doesn’t show the prophets in inappropriate situations. So, no, it’s not to make the movie more popular, it’s a normal thing that we got used to here in Egypt. Thanks for the heads up! Still, Noah and Exodus are both based on Christian stories, so why would Islamists care about these movies? Is it really just because of the Pyramids? That one quote about the Red Sea not really being parted by Moses throws me off based on what you’re saying. We, Muslims, believe in all prophets (Mohamed, Jesus, & Moses) along with others like Ibrahim, Sulaiman… Impersonating any of them is forbidden by some Islamic researchers, although Islam itself didn’t say anything specific about that topic. Noah was banned because Russel Crowe played a prophet who is Noah. Exodus: Gods and Kings is banned because Christian Bale played Moses. There were some objections about the plot (The Pyramids and The Red Sea parts) of the movie (I personally find those objections ridicuolous) but I don’t think this is why the movie was banned, because even if the plot wasn’t a problem, the movie would still be banned because of impersonating Moses. They aren’t Christian stories, just Bible stories. Pingback: It’s an effing film – “Egypt bans ‘inaccurate’ Exodus film” | HAPLOGROUP - bit that makes us human. I have a theory, though. When Noah was banned, many people objected and wanted to discuss why researchers made playing prophets in movies not allowed, there was a “fuss” which annoyed some of those researchers, so this time, to avoid this fuss, they banned Exodus: Gods and Kings claiming that the reason was “historical inaccuracy” therefore no one would want to discuss the whole “it’s not allowed to play prophets in movies” thing. So the main reason for banning the movie was Christian Bale playing Moses, but the reason that was given to the public was “historical inaccuracy”. But that’s just a theory. Very interesting. I don’t recall Mel Gibson’s Passion of the Christ getting a ban.